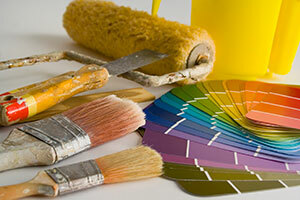 Do you love to paint or would you rather hire a professional painter in Sioux Falls, South Dakota? At Bella Faux Finishes, our interior painters are trained artisans with several years experience in field. The approach we use with our interior painting services is the same as that of our Venetian plaster, Italian finishes and faux finishes — thorough preparation and uncompromising attention to detail. As with many of our decorative finishes, each layer of paint must be completely dry and cleaned before the next layer is applied. While this is a step that is often skipped by inferior painting companies, it is one that we believe strongly in. This dedication to quality is something that can be seen in all of the interior painting projects we complete. See our photo gallery for examples of our work. 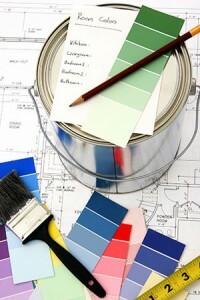 Do you need help picking out the right color for your interior painting project? Our Sioux Falls, SD professional painters offer free consultation services to all of our interior painting customers. Wall Repair: We will fill nail holes, caulk, and sand and prime your walls as needed. Wall Preparation: Have a crack in your wall? 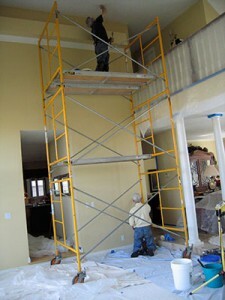 Our Sioux Falls paint professionals will repair the damage to ensure the greatest results. Painting: At Bella Faux Finishes, we use only the best paint products on our Midwest interior painting projects. Clean-up: No job is complete without the thorough clean-up of your property. Our professional painters will inspect the area upon the completion of the project, cleaning up any supplies, tools and trash left in our wake. We will also return any moved furniture where it belongs, rehang blinds and replace all switch covers. Take the ‘Pain’ out of Painting with Bella Faux! Perfect painting requires planning, preparation and patience. 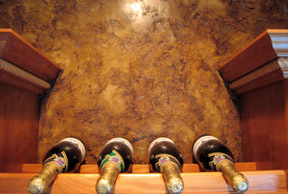 Get the professional paint services you deserve with Bella Faux Finishes! Our esteemed paint professionals are skilled in a variety of interior painting techniques to leave you with house you are proud to call home. Contact us today to arrange a complimentary color consultation. We can also provide you a price quote on your next Sioux Falls painting project. Call now! See our resources page for detailed information on interior painting tips and mistakes. You can also fill out our contact form to request information online. In addition to Sioux Falls, Bella Faux Finishes proudly serves homeowners and business owners in Sioux City, IA, Dakota Dunes, Wynstone Estates, Lake Okoboji, Lake Madison, Omaha, NE, Minneapolis, MN, St. Paul, Minnesota and the surrounding Midwest region. Form the Habit of observing, when you come upon The Wow Effect, what is creating the drama? You will find that Texture is always a key element, whether it is the fabrics, carpets, woods, tile, marble or the Decorative Finishes. Texture is everything!